If you are homeless and in need, know that you are not alone. According to the 2010 Census, New York State’s poverty has increased substantially, and child poverty in particular is an unbelievable 21.2% in New York State and 30% in New York City. This means that 1 out of every 5 New York children are currently living in poverty. As of November 18, 2011, a shocking 16,651 New York City children were living in homeless shelters. This figure is up from an average daily census of 14,432 one year ago. Housing statistics show that a whopping 50.2% of New York State’s households are “cost-burdened” paying 30% of their income in rent and 27.1% are considered “severely cost-burdened” paying 50% of their income in rent. As of 2011, New York State takes in $11 million in federal grants to help homeless shelters provide both temporary shelter and permanent housing for those in need, a truly vital service for many residents.Shelters such as the Suffolk County Coalition Against Domestic Violence in Bay Shore, provide housing and assistance to victims of domestic violence. The 24 hour hotline is confidential and free of charge and offers access to Safe Harbor Shelter via (631) 666-8833. Spanish speaking residents can call (631) 666-7181 Monday through Friday during business hours for assistance. 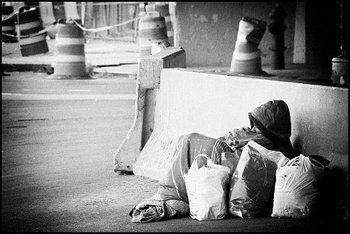 Long Island’s homeless shelters are numerous and provide both residential and non-residential services including support groups, children’s services, counseling and education. There is such a widespread demand, so many organizations post “wish lists” of urgently needed items on their websites. If you can, please consider donating whatever you can to a local shelter or volunteer and lend a hand to help our neighbors in their time of dire need.